Paperback Copy of “World War Four” Plus Another Story is Accepted for Publication. 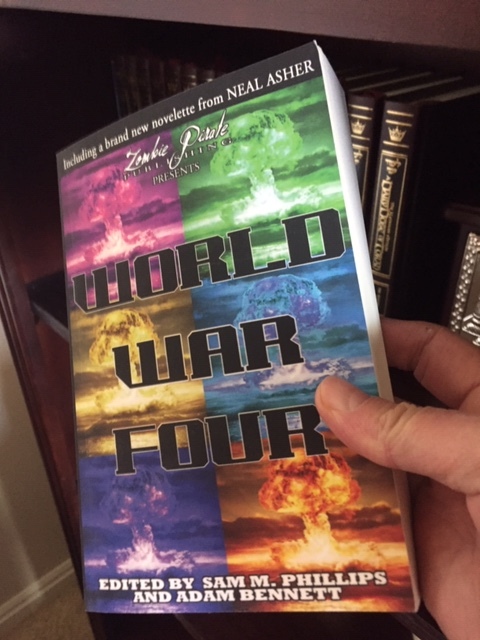 First of all, I just got my copies of the Zombie Pirate Publishing SciFi Anthology World War Four in the mail today, which features my short story “Joey.” It’s terrific to be able to hold it in my hand, even though I’ve also been reading my digital copy. 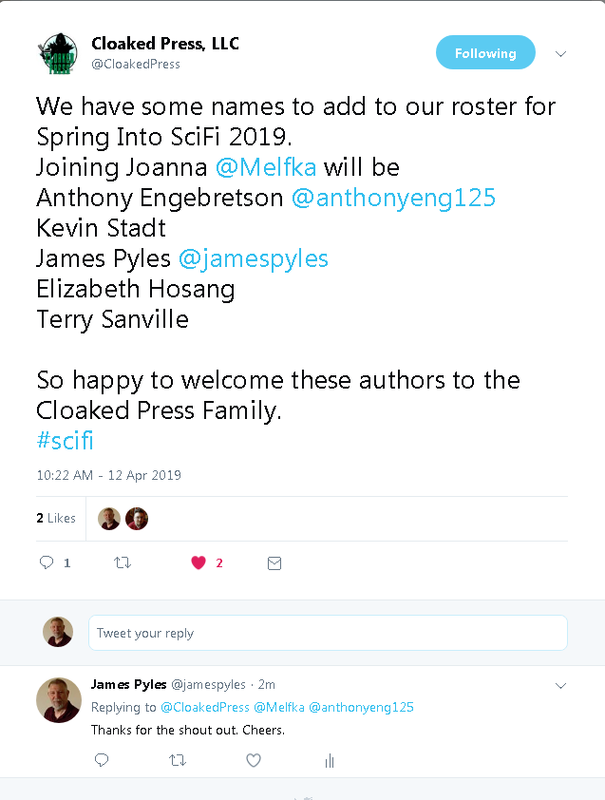 The other exciting news for this morning, is that my short story “The Recall” has just been accepted for publication by Cloaked Press for their upcoming anthology “Spring Into SciFi 2019.” No details are available yet, but I’ll post them as they come in.